In 1959, Fr. 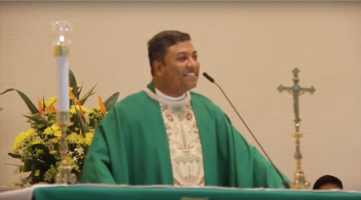 Henri Saussard, who had just been appointed assistant priest of the Parish of St. Francis Xavier, was asked to administer to the Catholic community in Jalan Kayu. Appalled by the living conditions of the destitute inhabitants, he decided that some Christian social action was called for. He was joined by some Catholics residents of Jalan Kayu. Together, they initiated some simple works of charity. In his eyes, Christian charity might include the giving of alms and material sustenance, shelter and clothing to the destitute, but it also entailed a promotion of the dignity of the human person. To visit the poor in their thatched hut, to share a drink offered in a soiled mug, to clasp a deformed hand, to embrace the sick, to spend a moment with the stricken, to light up a sad face, to restore hope where there is despair, to beg forgiveness from those served - that is the charity that Christ advocated. 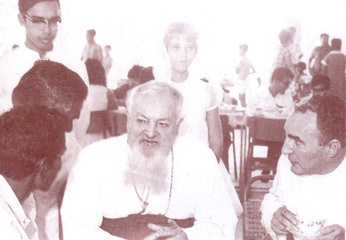 In 1960, he organized the male helpers into a Conference of Charity of the Society of St. Vincent de Paul. 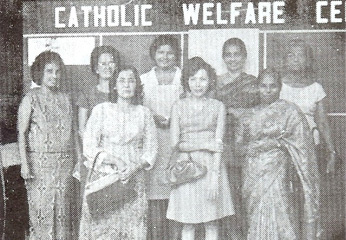 Every Saturday, after work, they would gather at a sarabat stall along Jalan Kayu and armed with parcels of food would fan out among the shanties, bringing a little relief into the lives of the people of diverse races and beliefs. A Catholic resident, Mr. J.S. 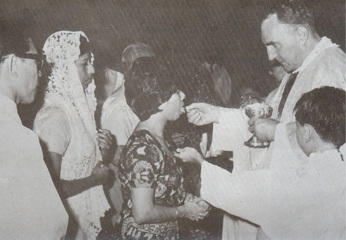 Gomez, offered his humble home, as an operational base, which also served as the first site at which the Holy Eucharist was celebrated. The Catholic Welfare Service was forthcoming with rations of foodstuffs. As there were widows and orphans to be served, separately, Fr. Saussard organized a group of ladies into the Conference of St. Louise de Marillac in 1962. Then followed the boys’ Conference of St. Dominic Savio in the same year to serve the youth and five years later, the girls’ conference of St. Elizabeth. With God worshipped in a simple home, and the Gospel finding expression in a multiplicity of services, the nucleus of a parish was slowly becoming evident but there was no church building to speak of. Moreover, the home of the generous Mr. Gomez was bursting at its seams. The Catholic population had grown and was set to increase further. A proper and larger base for worship and Christian action was anticipated. At a meeting convened in January 1963, and presided over by Archbishop Michael Olcomendy, it was decided to start raising funds for a church building. 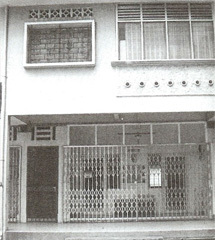 By 1963, $32,946 had been raised but because of the pressing need for a proper operational base, the funds were diverted to the purchase of a shop house along Jalan Kayu. 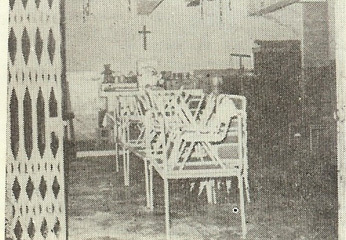 The dungeon-like basement was converted to a chapel for the celebration of the Eucharist, with the ground-level floor accommodating all the activities and the top level housing the priest’s quarters, a meeting room, a children’s library and a private study area. From that point on, the concept of a church took on a social dimension, a worshipping community, manifesting its commitment to the Bible through people-oriented action. As the activities expanded, even the shop house proved inadequate. The basement chapel, while limited in space to accommodate an expanding congregation, was an overheated oven, with poor ventilation. 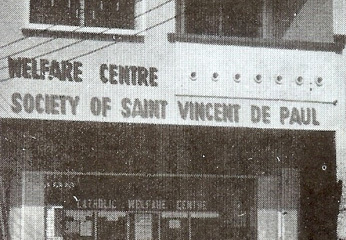 The shop house adopted the name of the St. Vincent de Paul Welfare Centre. It stood out as a Christian bastion of service. The presence of Christ shone brightly. All the ingredients of a parish were in place.